Skelmorlie Golf Club in North Ayrshire, Scotland, is an excellent coastal moorland course. The golf courses found on Scotland’s west coast are some of the best known in the world – and Skelmorlie Golf Club, although less well known than its more famous golfing Ayrshire neighbours: Troon, Turnberry and Dundonald, it is still a very unique and traditional Scottish golf course in a truly outstanding scenic location alongside the wide expanse of the Clyde estuary with spectacular views over to the Islands of Bute and Arran. We are therefore confident that once you play the 18 holes on our golf course, taking in the scenic surroundings and the testing golfing challenge, that you will agree, as you sit on our clubhouse balcony, relaxing under hopefully blue skies, and surrounded by some of the finest scenery in Scotland, that this is indeed a very fine place to play good value ‘Scottish’ golf. Skelmorlie golf course was originally designed by the five-time British Open Champion James Braid, who eventually laid out over 200 courses in the UK. Skelmorlie golf course was initially renowned as a 13 hole design, one of the few in the world. Today, with the addition of a further 5 holes, and although a short by modern standards layout, it is still a very challenging course in a traditional Scottish sense. The course is much loved and enjoyed by not only its loyal members but by the many visitors and guests who come here to enjoy it. Our course boasts 7 very good Par 3’s which will test the very best of golfers and which often, by themselves, determine the eventual scoring success of a round. Do not be fooled by the scorecard before your round, because if you are able to play to your handicap over the 18 holes then there will be no doubt you have played some very good golf indeed. It is a rare golfer who playing here for the first time, manages to beat or even match his or her handicap, and that is when the weather is perfect. We always offer a very warm welcome to visitors from all over Scotland and indeed the rest of the UK and of course sometimes from much further afield. Any membership enquiries to join Skelmorlie Golf Club are always welcome at any time, and we have various joining packages and special offers to suit everyone. So please do not hesitate to come and visit us and enjoy a round of golf on our course at any time of the year and delight in one of the most scenic coastal moorland golfing experiences in West Central Scotland. 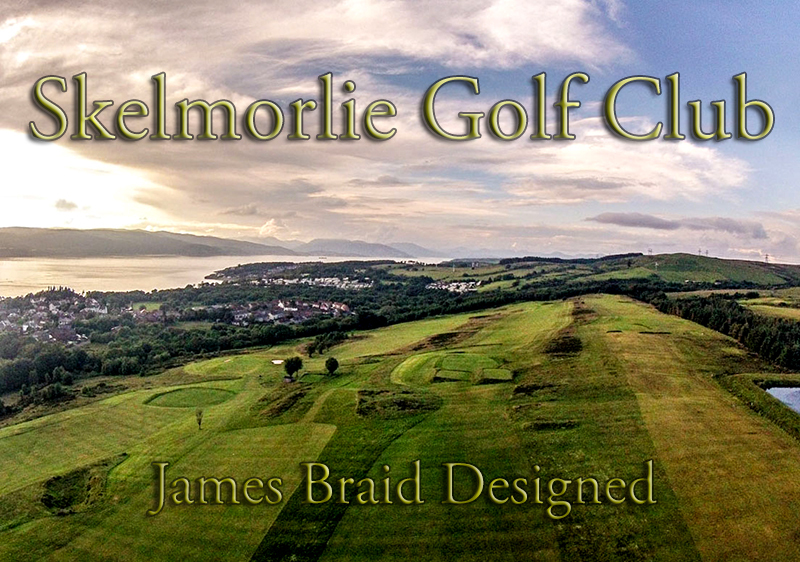 We are pleased to announce that Skelmorlie Golf Club is part of the Association of James Braid Courses. This exclusive association is only open to Courses that have been designed by the legendary James Braid. Built in 1891 as a nine hole course, four new holes were added in 1909 for a unique 13 hole course, one of the few in the world. 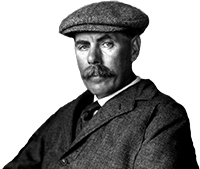 James Braid re-designed the 13 hole course during a visit to the area in 1911. The course remained pretty much unaltered until a further 5 new holes were added in 1999 to finally make Skelmorlie an eighteen hole course. Skelmorlie Golf Course is listed in John Moreton’s booklet ‘James Braid, Golf Course Designer’. The benefits of being in the association are that members of the association can play each others courses at special rates to enjoy and compare the Braid influences. Special rates are available to play Skelmorlie GC if you are a member of a James Braid club.